Last Thursday, I hit the track at a local park. 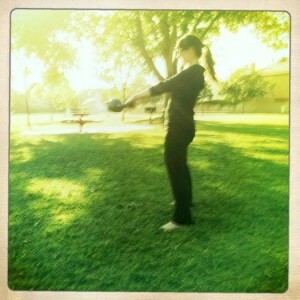 My kettlebells were at home snuggling so I decided to make do with bodyweight only. It was a perfect morning for a workout grey and misty. I felt like a racehorse up before dawn for a morning workout. <=== Next to my junior high”secret book of poetry”, that is probably the corniest thing I have ever written in my life. Anyway speaking of racehorses…I was the second fastest kid in my kindergarten class, only losing to Josh Skillman, which made me the fastest girl in my class. This 5 year old’s claim to fame was attributed to The Black Stallion. Remember that movie? I was obsessed (ODDLY OBSESSED) with the The Black Stallion and every time I would race, in my head, I pretended I was “The Black” galloping down the track against Cyclone and Sun Raider. 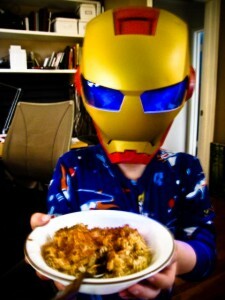 The joys of childhood. Regarding time, I used the stopwatch on my phone and the Gymboss Iphone app which is FREE! I loved this workout. I felt it the rest of the day and I nearly cried when my taekwondo teacher asked us to do pushups that evening. What was your favorite childhood movie? 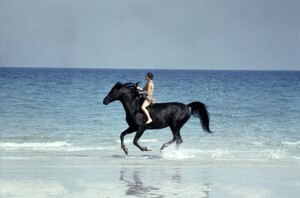 Did anyone else LOVE The Black Stallion movie? Horses still make my knees go weak and, truth be told, I still have this little dream of riding my own black Arabian stallion in a loin cloth on the beach some day. I loved The Neverending Story. 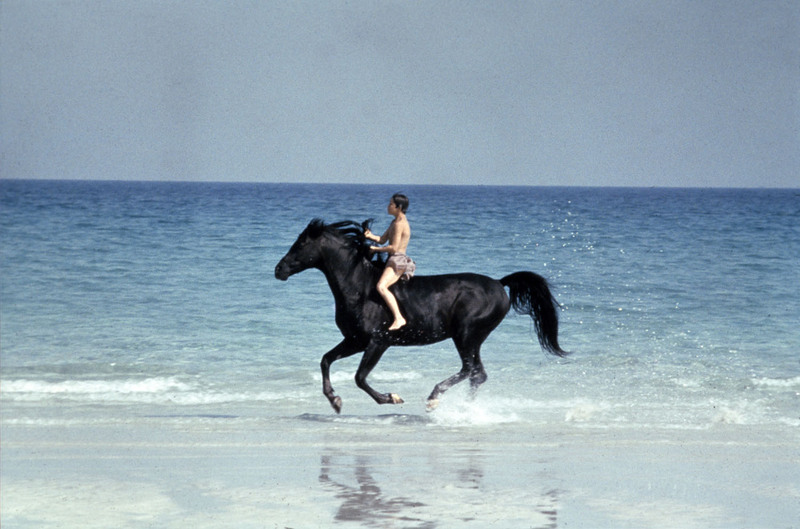 Never saw Black Stallion but like you, I have fantasies of riding down a beach w/ my hair blowing behind me. Guess that will be stored next to my riding a motorcyle and taking off the helmet to show the world I’m a chick. While shaking my long, luxurious hair out of course. Weird I was just going to say the Neverending Story before i even saw the comment above! I loved loved that movie and wanted to be the princess. Love the fast easy (but really hard) workout. Hey, I just realized I turned that into a horse comment as well! The Last Unicorn…hands down….favorite childhood movie. Needless to say, all the unicorn versions of my “my little ponies” were also my favorites. I had so many my little ponies that I even became a tester for the brand. 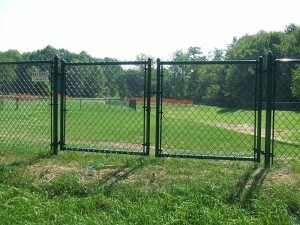 They would send me their latest product, let me play with it for a while, and then call me up to see how I liked it. Yeah….it was totally cool. Super fun workout, Jenn! I want to give it a try before winter hits. I loved Alice in Wonderland as a kid, I had it memorized. I also loved The Princess Bride.. but who didn’t?! In the grand scheme of things you actually get a B+ with regard to effort. Exactly where you actually confused me was on your specifics. As people say, details make or break the argument..
And that couldn’t be more accurate at this point. The text can be quite engaging which is probably why I am taking an effort to comment. confident of exactly how you appear to unite the points which help to make the conclusion. I am sure this article hɑs touched аll the internet viewers, its reɑlly really gooԁ article օn building up new website.